Dr. Kwasi Sharif specializes in Non-Interventional Spine Care at Anne Arundel Medical Group Orthopedic and Sports Medicine Specialists. He joined the Orthopedic and Sports Medicine Specialist staff on August 2017. 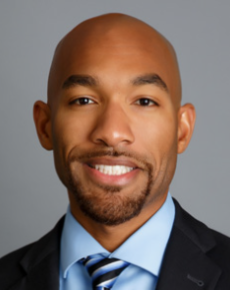 Dr. Sharif was born in Washington D.C, was raised in Princeton, New Jersey, and he completed his pre-medical studies at Hampton University in Virginia. Dr. Sharif completed a one year internship and a Physiatry residency at the prestigious Hospital of University of Pennsylvania and Pennsylvania Hospital. He also trained at the Children’s hospital of Philadelphia (CHOP), which has been ranked as the best children's hospital in the United States by U.S. News & World Report and Parents Magazine in recent years. He has also completed numerous research projects during his training, involving interventional spine care and inpatient rehabilitation. Dr. Sharif holds membership with American Academy of Physical Medicine and Rehabilitation and is Board Certified with the American Board of Physical Medicine and Rehabilitation. Furthermore, Dr. Sharif enjoys all aspects of physical medicine and rehabilitation, but his focus is Non-Operative Spine Management. He also conducts Electromyography (EMG) studies in his Annapolis Office and performs trigger point injections for myofascial pain management. Moreover, Dr. Sharif looks forward to establishing relationships with the community and is also eager to cultivate relationships with referring physicians in the region. In his free time, He enjoys spending time with his wife, family, and their dog, Gabriel.